Check out this little clip of Philip windsurfing during our photo shoots in Cape Town and Maui. Check out the latest clip produced by Aussie Sean O’brien featuring none other then wavesailing World Champion Philip Koster as he explorers Western Australia. Margaret river is cliffs, rocks, sharks and anticipation. Esperance is sand, glory, un-crowds and sunshine. Factor in swell and wind and a German teenager and you have Nti Gravity, our new short with Philip Köster. When you combine his spontaneous style, his aggression on the turns and his sheer joy of sailing, there is still no one else on the planet we would rather watch. 8 hour drives followed by 8 hour sessions; it was hard to get him off the water. On land he can be quiet, on the board he can be brazen. In this WeAreNeverLeaving short we take Köster on a roadtrip along the Western Australian coast looking for sun, swell and trouble. We found two of those things. 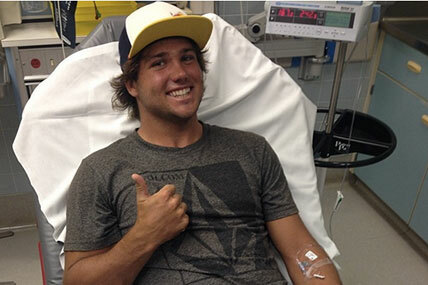 Another tribute to the current King of Windsurfing, Philip Koster. Some sick action and a nicely done clip this is one to watch! Watch TeamPryde compete at the PWA World Cup in El MÈdano, Tenerife. Featuring wave action from Antoine Martin, Jules Denel, Ricardo Campello and the winner, Philip Koster! day 3 at the 2013 PWA Tenerife World Cup saw the much anticipated conclusion of the men’s and women’s single elimination’s. The top PWA riders put on an amazing display as winds hit 40 knots and some of the best waves of the contest so far rolled through. The single elimination wrapped up with Philip Köster (Starboard / NeilPryde / Maui Ultra Fins) and Daida Ruano Moreno (Starboard / Severne) claim the opening victories of the week. At 2:15pm the men’s double elimination began allowing the majority of the first round to be completed, before both the wind and wave conditions deteriorated. In heat 14 Philip Koster produced a not worthy jump and move of the day as he he landed an absolutely outrageous stalled double forward, completely ankle dry. Robby Swift, Ricardo Campello, Philip Koster and Antoine Martin training in Pozo before the PWA World Cup and the PWA Super Session. 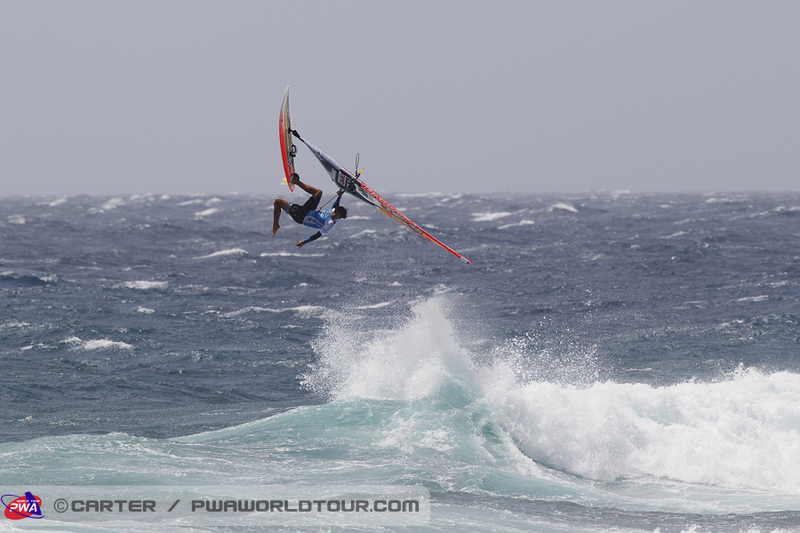 The PWA Pozo world Cup wrapped up with less then spectacular conditions and only a super session yeilded results. A few days latter conditions were on fire with sailors on 3.3M sails and @ meter waves. Some of the top pros were still there including Philip Koster, Alessio Stillrich, 12 year old Niklas Herrera and Victor Fernandez. Pozowinds brings us this radical clip with massive jumps, huge loops and some sick waveriding. Philip Koster making double forwards look easy in Pozo. Red Bull has produced a clip of 2 x World Wave Champion Philip Koster windsurfing at Ho’okipa. The clip also has some quick words and riding from Robby Naish and Jason Polakow. Enjoy!